Karwar Style Kalingana Polo Recipe - Watermelon Rind Dosa is a delicious dosas made with watermelon rind.The watermelon rind dosa's are easy to prepare with minimal ingredients. 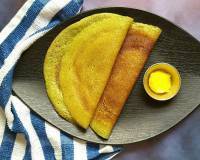 The watermelon rind and coconut added to the batter renders a subtle sweetness to the dosa's. 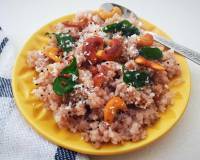 Serve it along with coconut chutney and Dal. 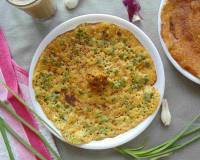 Karwar Style Kalingana Polo Recipe - Watermelon Rind Dosa is a traditional dosa recipe from the Karwar region. Watermelon rinds are usually discarded, however this unique dosa is prepared using the rinds. It is said that the maximum amount of nutrients are actually stored in the watermelon rind. 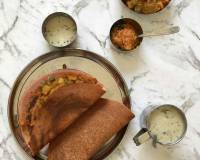 The watermelon rind dosa's are easy to prepare with minimal ingredients. 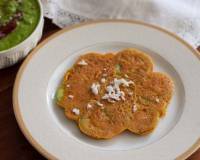 The watermelon rind and coconut added to the batter renders a subtle sweetness to the dosa's. 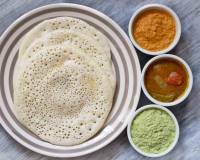 Unlike the other dosa variants, this one is prepared by pouring a ladle full on the hot griddle and not spread it. It is then left to cook with a lid on to let the dosa cook in its own steam. It is soft and porous. 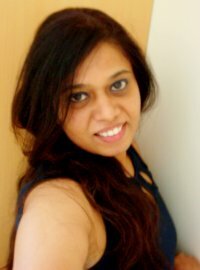 Serve the Karwar Style Kalingana Polo Recipe - Watermelon Rind Dosa along with Coconut Chutney Recipe and Dali Thoy Recipe (Karwar Style Toor dal Curry) for the weekend breakfast. Did you know: Watermelon rind is also completely edible, like the watermelon pulp. Citrulline in the rind gives you a energy boost to perform well during workout and has aphrodisiac quality for men. Researches have also proved that it reduces blood pressure and possibly help keep prostate cancer at bay. 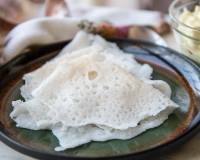 To begin making Karwar Style Kalingana Polo Recipe- Watermelon Rind Dosa, wash and soak the dosa rice in water for 2 hours before we proceed to make the batter. Likewise, wash and drain the poha in water using a strainer and keep aside. Now in a mixer grinder, grind the watermelon rind along with grated coconut to a smooth paste. Take it out in a mixing bowl. Add the soaked poha and dosa rice, season with salt and make a smooth dosa batter by adding very little water. The consistency of the batter should be a little thick. 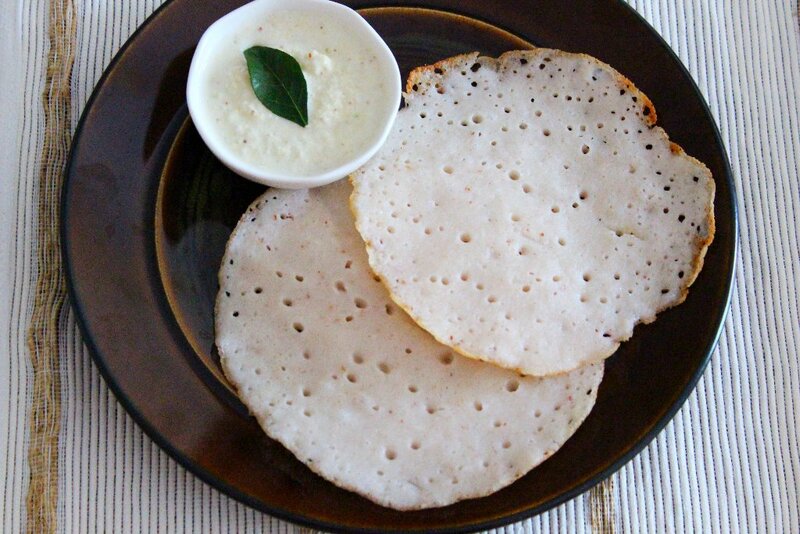 Leave the batter to ferment for 6 hours, before proceeding to make the dosas. Now, heat a dosa griddle/fat cast iron tawa on a medium heat, brush it with a little oil, pour a ladle full of the dosa batter, pour a teaspoon of oil on the sides. Cover it with a lid and let the dosa cook in its own steam till done. Remove it on a plate and proceed to make rest of the Kalingana Polo similarly with the remaining batter. 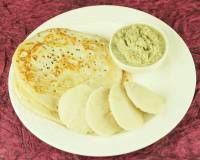 Serve the Karwar Style Kalingana Polo Recipe- Watermelon Rind Dosa along with Coconut Chutney Recipe and Dali Thoy Recipe (Karwar Style Toor dal Curry) for the weekend breakfast.